The Cuisinart SS-10 Premium Single-Serve Brewer gives coffee brewing an improvement from cup sizes, K-Cup compatibility and coffee flavors. This machine was designed with a 72-ounce water reservoir for the convenience of those who take more than one cup a day, meaning fewer refills needed. This home-brewer is also versatile with a programmable feature perfect for any personal or entertaining use at home. 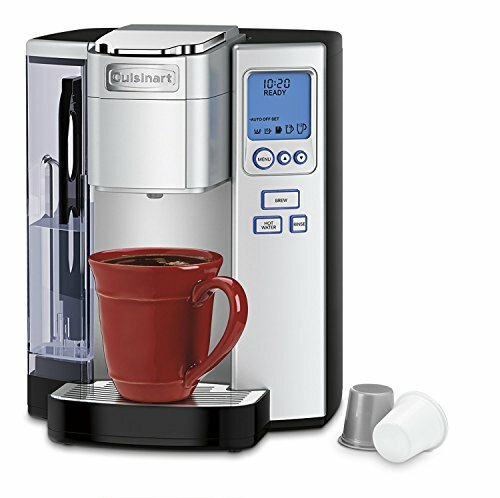 Cuisinart Premium Single-Serve Brewer is made compatible with all brands of K-Cups which can easily suit any household preference for a wide selection of hot drinks and equipped with the Home Barista™ Reusable Filter Cup. 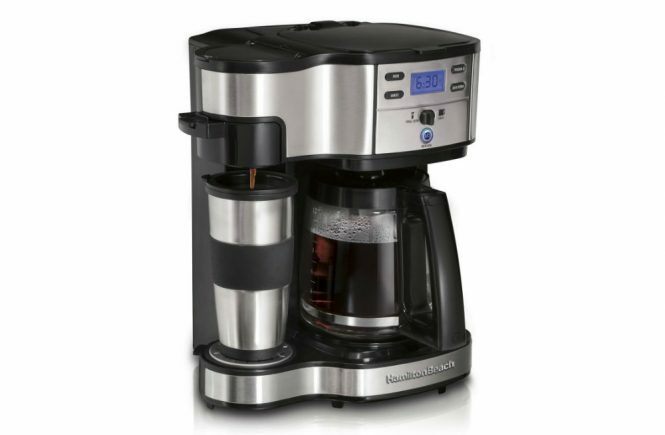 This model has a total of five cup size variety from 4, 6, 8, 10 to 12 ounces complete with an adjustable brewing temperature to make sure that the preferred temperature is achieved. This machine not only makes coffee but the built in hot water button enables the user to make soup, tea, hot chocolate drinks and the like. Additionally, the brewer is equipped with a rinse function for easy clean up. 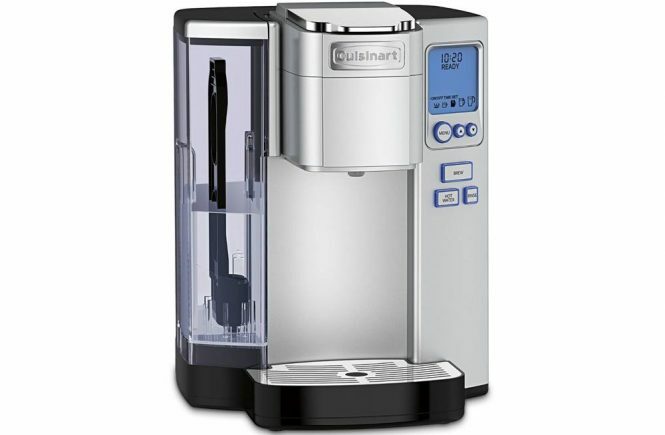 The Cuisinart Premium Single-Serve Brewer is a very user-friendly device. 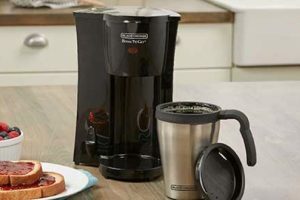 If you are used to the original single-serve coffee maker that uses K-cup pods, this device is more of an upgrade guaranteed to last for an extended period and usage in comparison. Since the machine is equipped with an auto shut-off feature, it makes it safer and saves more energy plus it only takes less than a minute to have your perfectly brewed, hot cup of coffee. The Cuisinart SS-10 is equipped with a 72-ounce removable water tank reservoir improving capacity for a big coffee-loving family or for drinkers who take more than one a cup a day. This model is also equipped with a removable drip tray to catch excess drips and spills making it easier to clean and less messy. The Cuisinart SS-10 is also fully programmable and user-friendly. Enables you to adjust mug sizes with at least 4 ounces to 12 ounces maximum volume. The HomeBarista™ Reusable Filter Cup allows you to change to different types of coffee flavors according to preference. It is equipped with a control panel where a programmable clock is installed. This allows the user to set a timer for the machine to automatically turn on or shut off making it safe for home use and energy-efficient. The control panel also has temperature adjustment and brew size for the user to indicate the desired temperature for his or her cup. The hot water button allows not only for the machine to serve coffee but other hot beverages as well like tea or hot chocolate and even soup. It also has a rinse button at the side for instant cleaning of the brew chamber in between brews giving you a rich and flavorful cup in each time. The Cuisinart SS-10 activates rapidly and the temperature increases quickly. The device is designed to produce a hot cup of beverage instantly in less than a minute. The machine is suitable for all kinds of K-Cups. The programmable cup sizes selection is on point giving you no spills and mess and is capable of brewing up to a 12-ounce cup. The Cuisinart SS-10 produces little sound when operating making sure nobody is disturbed while making a cup of coffee early in the morning. There is a rinse feature for easy clean-up of the interior of brew chamber in between brews. What you pay for is what you get—it is only designed and colored to look like stainless steel but is made of plastic. 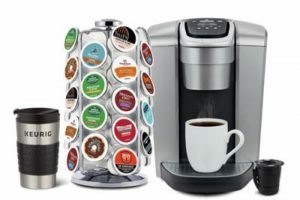 The puncturing mechanism for K-Cup pods is not sharp enough resulting in making wasteful holes and messy brews as the water and ground coffee spills every puncturing attempt. The product is not for beginners or first-time users. You’ll need to consult the product guide diligently. Due to low-quality materials, the machine is not guaranteed to last for a long time. This will also depend on proper handling of the user. To ensure product life and machine strength, the user needs to load a good quality K-Cup or use own coffee. The Cuisinart SS-10 Premium Single-Serve Brewer offers freedom of selection for the mug size and at least 4 ounces to a maximum capacity of 12 ounces of coffee. 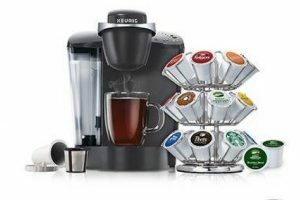 It also allows any type, kind and brand of K-Cup pods for use allowing you to choose any preferred flavor or favorite brand of coffee. The hot button feature also enables the user to make any hot beverage, soup, cereal or oatmeal plus the rinse button makes for an easy clean up. Aside from the K-cup compatibility of this brewer, it is equipped with a Home Barista™ Reusable Filter Cup for your preferred brew. 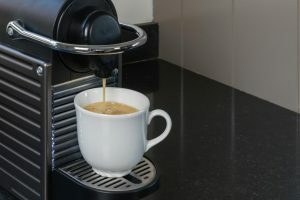 If you want a coffee machine good for office use or for when you have guests around, the Cuisinart SS-10 Premium is a good product. 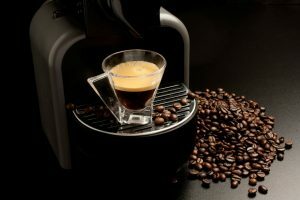 But if you are living alone or only a few members of the family drink coffee without the additional features needed, for a lesser cost, you can opt for a single-serve coffee maker for regular coffee. 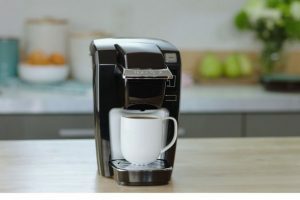 If you prefer a specific brand of single-serve coffee maker, then you can choose that product brand over Cuisinart since it’s not compatible with all K-Cup pods. It is compatible with a limited number of K-Cup pods. It is not guaranteed to be durable or to last for a long time even with the versatility of use. Overall, the Cuisinart SS-10 Premium Single-Serve Coffeemaker is a great product that is compatible with most types of brewers. It produces a decent cup of hot coffee and other hot beverages as well. The device is also fully programmable—you can easily adjust it to any user preference. The auto shut-off feature also makes it a safe product to use, plus it’s very convenient for people who drink coffee a lot because of the large-capacity water reservoir allowing for fewer refills and more brewing. A decent and practical product, you can’t go wrong with this one.